Today it continues to be used as a highly natural adjuvant for the treatment of various types of problems, especially those related to the digestive system. It has a variety of benefits, ranging from lowering cholesterol to tooth whitening. This article explores in detail the active carbon and science behind its supposed advantages. 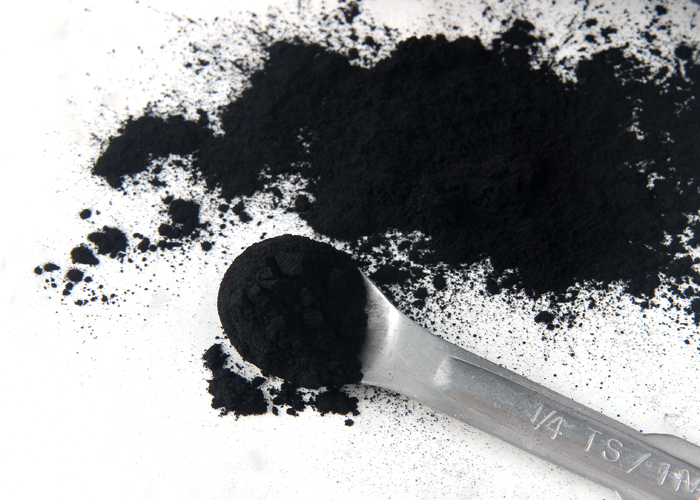 Activated charcoal is a fine black powder made of wood, coconut shell, peat, coal or sawdust. Carbon is "activated" by processing at very high temperatures. High temperatures change the internal structure, reduce the size of the pores and increase its area. 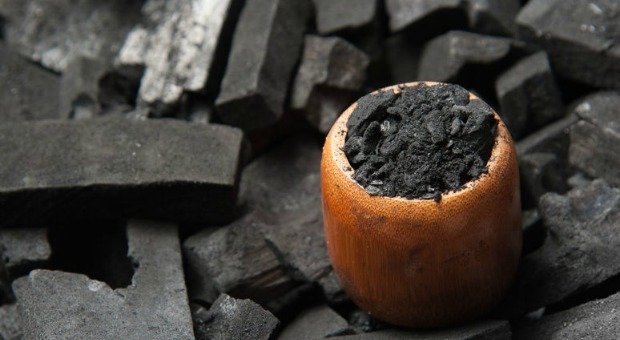 This creates charcoal that has more pores than the normal. 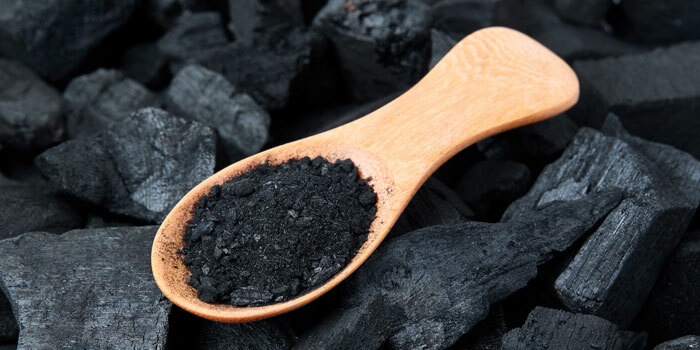 The activated charcoal should not be confused with the charcoal used for your barbecue. While both can be made of the same basic materials, charcoal is not "activated" at high temperatures. In addition, they contain additional substances that are toxic to humans. Activated charcoal works by capturing toxins and chemicals in the intestine, preventing their absorption. The porous structure of activated charcoal has a negative electrical charge that causes it to attract positively charged molecules such as toxins and gases. Since activated charcoal is not absorbed by your body, it can carry the toxins attached to its surface outside the body in the stools. Thanks to the toxin-binding properties, activated charcoal has a variety of medical applications. For example, activated charcoal is often used in cases of poisoning. This is because it can attract a wide variety of poisons, reducing their effects. 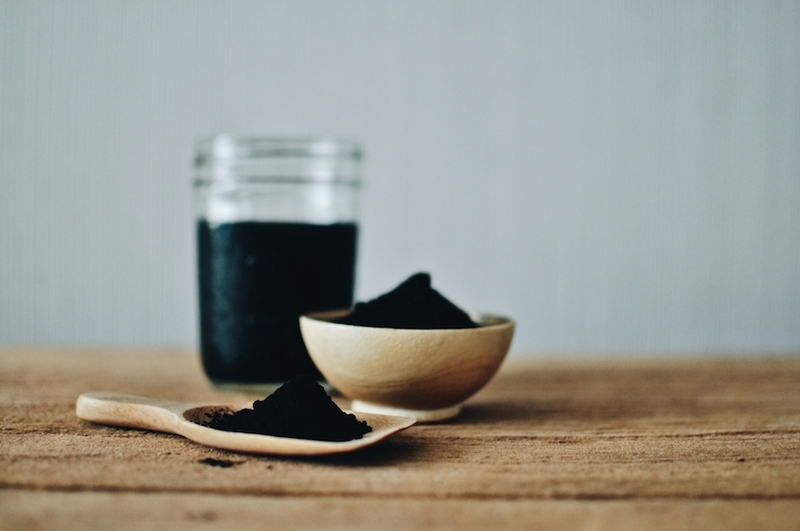 Activated charcoal has been used as an antidote since the early 1800s. It can be used to treat overdosage of medicines such as aspirin, acetaminophen, and sedatives. 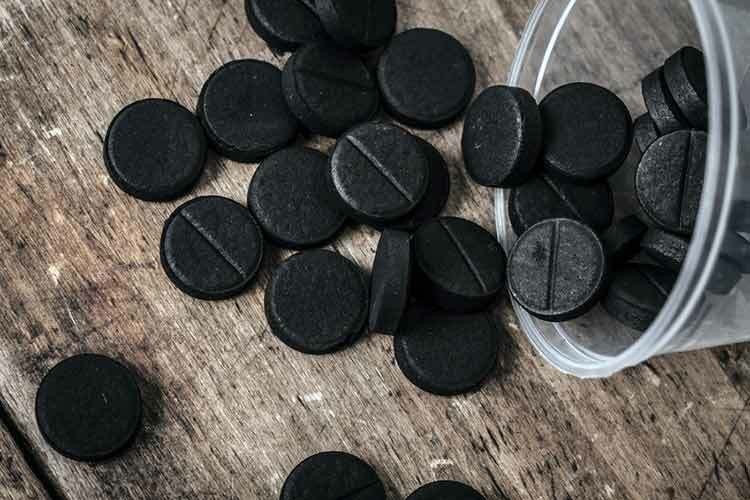 For example, there are studies that show that when a single 50-100 gram dose is taken within five minutes of a drug overdose, activated charcoal can reduce drug absorption in adults to 74%. It is important to note that activated carbon is not effective in all cases of poisoning. For example, it appears to have little impact on alcohol, heavy metals, iron, lithium, potassium, acid or alkaline poisoning. What's more, experts warn that activated charcoal should not be routinely used in all cases of poisoning. Rather, its use should be considered on a case-by-case basis. Activated charcoal can help stimulate kidney function by reducing the number of waste products the kidneys have to filter. This may be particularly useful in patients with chronic kidney disease, a condition where the kidneys can no longer filter the waste matter properly. Healthy kidneys usually work very well, and they do not need extra help to filter the blood. However, patients suffering from chronic kidney disease are usually more difficult to remove urea and other toxins from the body. Activated charcoal may have the ability to bind to urea and other toxins by helping your body remove them. Urea and other waste materials can pass from the blood vessel system to the intestine by a process known as diffusion. In the intestine, they are bound to activated charcoal and are excreted in the stool. Activated charcoal can help reduce odors in people suffering from trimethylaminuria, also known as fish odor syndrome. This is a genetic condition in which the body accumulates trimethylamine (TMA), a compound with a smell similar to rotting fish. Healthy people are usually able to convert this substance before it is released into the urine. But, people suffering from trimethylaminuria do not have the necessary enzyme to do this conversion. This leads to accumulation of TMA in the body and penetration into the urine, sweat, and breathing, resulting in unpleasant fish odors. Studies have shown that the porous surface of activated carbon can help small smelly compounds like TMA to bind by increasing their excretion. Activated charcoal can also help lower cholesterol levels. » What you should know about probiotics! » Citrulline Malate - fatigue killer. This is because it can bind cholesterol and cholesterol-containing bile acids in the intestine, preventing their absorption by the body. Activated charcoal is also a popular home-use tool with numerous applications, although it is important to note that not all of them can be supported scientifically. • Gas reduction: Some studies have shown that activated charcoal can help reduce gas production after receiving food-producing food. It can also help to improve the smell of the gases. • Water filtration: Activated charcoal is a popular way to reduce heavy metal and fluoride content in water. However, it does not seem to be a very effective method for removing viruses, bacteria or solid minerals. 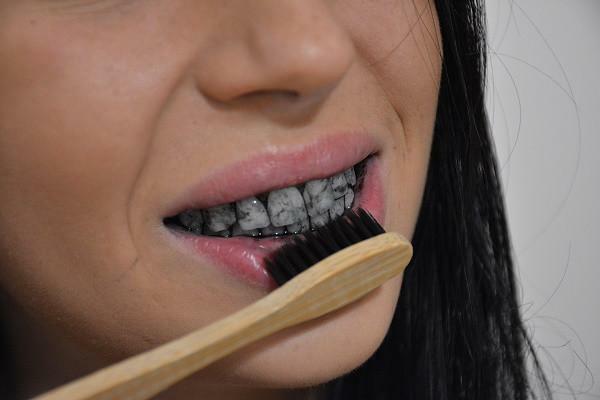 • Tooth whitening: It has been proven that the use of activated charcoal for toothbrush bleaches them. It is believed that this is accomplished by absorbing plaques and other dental coloring compounds. • Decreases alcohol in the blood: Activated charcoal is sometimes also used as a means of reducing alcohol in the blood. While drinking alcohol can lower alcohol levels in the blood, its effect on the hangover is not well studied. • Skin procedures: Applying activated charcoal to the skin is offered as an effective treatment for acne and insect bites or snakes. Activated charcoal is considered safe in most cases, and side effects are considered rare and rarely severe. However, it can cause some unpleasant side effects, the most common of which is nausea and vomiting. In addition, you may get constipation or have black stools. When activated charcoal is used in emergencies as a poison antidote, there is a risk that it will enter the lungs, not the stomach. This is especially true if the person taking it vomits is sleepy or semi-conscious. Because of this risk, activated charcoal should only be given to people who are fully conscious. 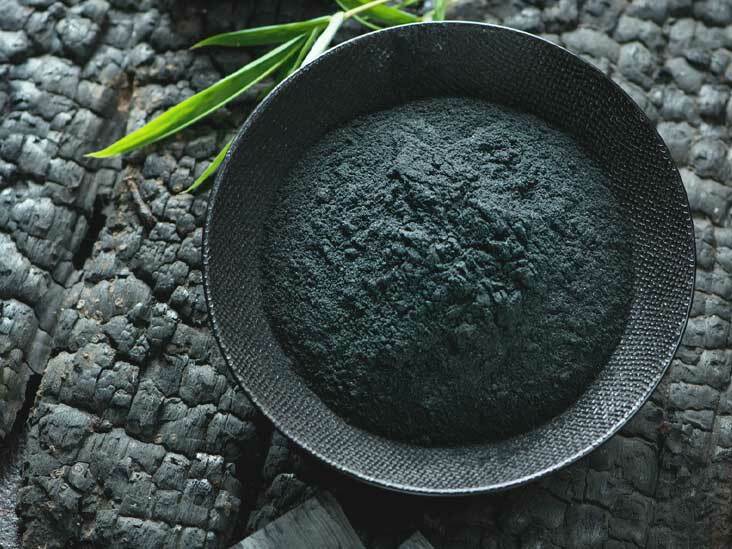 In addition, activated charcoal can worsen symptoms in people with porphyria - a rare genetic condition affecting the skin, intestines and the nervous system. Also, in very rare cases, activated charcoal is associated with blockage of the intestine or holes. It is worth noting that activated charcoal can also reduce the absorption of certain drugs. Therefore, people whotake medication should consult their GP prior to accepting it. Dosage from 50 to 100 grams may be administered by a medical practitioner, ideally within one hour of overdose. Children should generally take a lower dose of 10-25 grams. Posology for other conditions varies. From 1.5 grams to reduce the risk of fish odor syndrome to 4-32 grams per day to lower cholesterol and stimulate kidney function in the end stage of kidney disease. 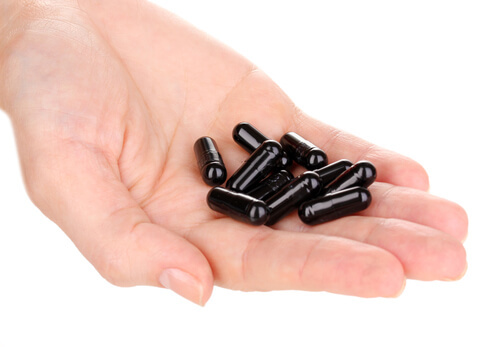 Activated charcoal supplements can be found in the form of pills or powdered forms. When taken as a powder, the activated carbon may be mixed with water. Increasing water intake can help prevent symptoms of constipation. Activated charcoal is a supplement with a variety of applications. Interestingly, there is a potential for lowering cholesterol, treating poisoning, reducing stomach gases and stimulating kidney function. However, studies supporting these benefits are not sufficient, they are weak. Keep this in mind when deciding whether to accept active charcoal for a particular case.